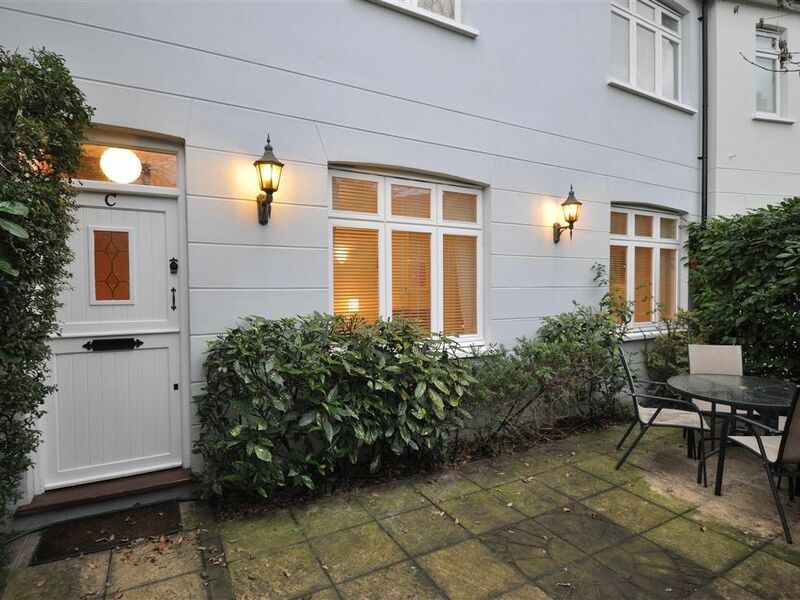 Laurel House is located within Zone2 in the leafy desirable central suburb of Putney. Boasting a host of mainline, tube, bus and boat links making for a choice of easy quick access in and around London. The house is tucked away within a peaceful gated courtyard and includes it’s own parking space and private patio. Locally you will find everything you need within a few mins walk every style of restaurant, cosy pubs, bars, retailers (some open till late) ask our host. Tucked away down a private driveway, you’ll come to a gated residential courtyard. Walk through the clock tower arch and you’ll find Laurel House straight ahead to you right with its own patio garden. In the second bedroom you will find two single beds with fresh bedding and wardrobe with hangers. While the courtyard is a shared space, you’ll have the use of the whole house exclusively as well as the patio garden and if requested a parking space at the courtyard. Myself Simon will be there to help you manage your booking. Barbara manages the properties and takes over from me as your point of contact once you arrive. We have both have a vast depth of knowledge of the area and going into London having lived in Putney and the surrounding areas most of our lives. We are a family business was established in 1987 in focusing on property development, we started to build portfolio of rental properties since 1992. In 2010 we branched into holiday rentals. Two sofas (one as a pull out bed), Writing desk, coffee table, and large flat screen. Quite roomy with lots of closet and drawer space. Easy access to the High Street, the Tube, busses, and Brit Rail. Could not ask for a more family like residence, including a private patio with a grill and a fire pit (which we did not use). Great place to experience London! My first trip to London. The Laurel House was in a perfect location, close to buses, the Underground , shopping , pubs and restaurants! We were well taken care of by Barbara, Simon and Tom. Wonderful experience! The location was fantastic. Quiet and family friendly with easy access to transportation to take you into Central London or outside the city. Access to grocery stores, shops and plenty of local food options as well. The house was nicely furnished - nice kitchen, plenty of seating and very clean. A really nice property for families as the two bedrooms and neighborhood make things perfect for families on holiday. Brilliant location, lovely home away from home. We loved our stay in the Mews. It’s a well appointed home and very safe and secure. Ideally located to public transport, the High Street shops, and most importantly several friendly local pubs. Highly recommend. Everything was clean, modern and comfortable. The owner is lovely, very welcoming and we had a great stay. The property is a great base for visiting the city as a family and would not hesitate to recommend this property to others. My wife, my daughter, my two grandchildren, and myself have just spent a month staying at the lovely, secure, quiet, and ideally located cottage. Our hosts were helpful, welcoming, and friendly. The cottage is a very short walk to the main shopping area, numerous restaurants, and pubs. The Thames itself is only a 5 minute walk and the tube is only a couple more minutes walk. Central London is about 15 minutes on the tube and about 30 minutes on the bus. There are many other attractions that are also very accessible and we easily filled our month with a variety of activities. We would love the opportunity to stay here again and we happily recommend it.